Oval smokey quartz pendant in sterling silver. Wonderfully classic, elegant and beautiful, this clear sparkling smokey quartz gemstone pendant is a must have. Wear anywhere and any time - this pendant will go with everything! 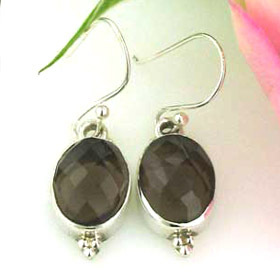 The smokey quartz gemstones used in our smokey quartz pendants are natural. 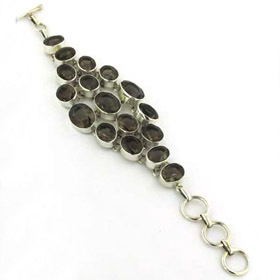 For a multi-stone necklace see our smokey quartz necklaces. 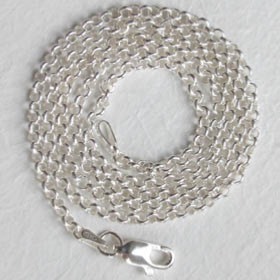 The chain we show in the photograph is our silver belcher chain, width 2.5mm (see below). To make your own choice of sterling silver chain to wear with this pendant see our collection of Italian sterling silver chains.